Steam version: Today is the day! 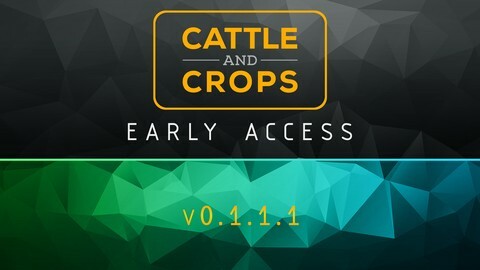 As of now, the Early Access version v0.1.1.0 of Cattle and Crops is available on Steam. We want to say a big thank you to everyone who has supported us until now. Another thank you goes to our community from the forum! Through your feedback, bugreports and suggestions we could constantly improve the fundamentals of Cattle and Crops in order to have a solid basis for the Steam release. If you like the project, please help us to spread the word about Cattle and Crops. Inform your fellow gamers, friends and Let’s Players, who might not know it yet. We would also be delighted, if you could leave a review on Steam. To all Let’s Players, Streamers etc. : With the following invite code 9648 you can sign up for the CnC media partner area: https://www.cattleandcrops.com/mediapartner/sign_upAfter you have filled in the corresponding fields, we’ll check your data and if everything fits you’ll be unlocked. If you have questions, please contact our support. Steam key activation in your account: For those of you who already play and test CnC in the launcher version but want to have it on Steam: You can generate a Steam key in your account under https://www.cattleandcrops.com/ and activate it in Steam. All backers already have received a key via email. We hope you have fun playing Cattle and Crops. To a successful future! All changes, bug fixes and new features you can check out in our changelog as always.